Amazon, Barnes & Noble, or, better yet, your local independent bookstore. Detroit political cartoonist Saul Thorn expected the anniversary of 9/11 to be a slow news day. He was wrong. That morning, terrorists compromise a plane and it explodes over the city of Detroit. 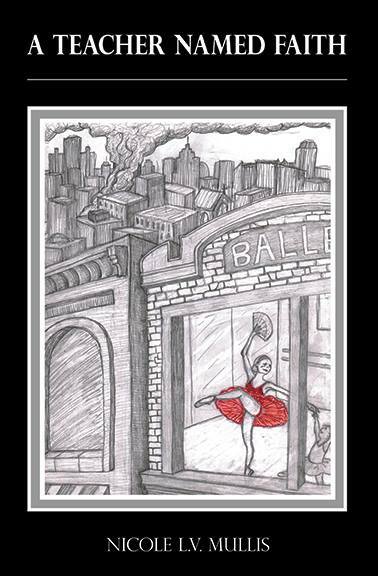 Saul creates a cartoon, juxtaposing the image of a dance teacher against the carnage of the downed plane. That same day, a photojournalist takes a picture of Saul’s twin brother Simon praying in the panicked Detroit Metro Airport. Both the cartoon and the photograph receive national attention, casting Saul as a beacon of hope and Simon as a man of faith. The truth, however, is far more complicated. Saul, a hardened cynic, didn’t expect his best work to come from tortured feelings over his longtime girlfriend, Faith. Simon, a failed seminarian, was only in the airport because he left God to propose to an ex-girlfriend. Determined to control their destinies, these brothers fight against what they love, never realizing only love could lead them home. Kaye Curren’s review of A Teacher Named Faith on her blog Write That Thang!